Demand is growing, but how do you find the perfect match for your business? A good provider can make a significant difference to the success of your business and plays a key role in lowering storage and distribution costs and maintaining customer satisfaction. Retailers expect frozen food products to retain their quality and be delivered on time and if the provider doesn’t deliver, this can ultimately damage your brand and reputation. As well as effective temperature control systems, when it comes to selecting a cold storage warehouse for the storage of frozen food products, there are a number of additional considerations that producers and manufacturers must bear in mind. An efficient food supply chain should have the advantage of carefully planned proximity and efficient access. Using cold storage facilities close to your production or growing sites can be a huge benefit in terms of minimizing fuel miles and costs and reducing your carbon footprint. Additionally, a key consideration should be whether the warehouse has easy access to major transport routes. With a number of vehicles coming in and out of the facility each day, easy access ensures a streamlined and efficient operation. If the warehouse is part of a wider network which spans different countries then this gives you scope for potential expansion of your business into other warehouses in these locations. Top priorities for manufacturers and producers are cutting emissions and reducing costs. 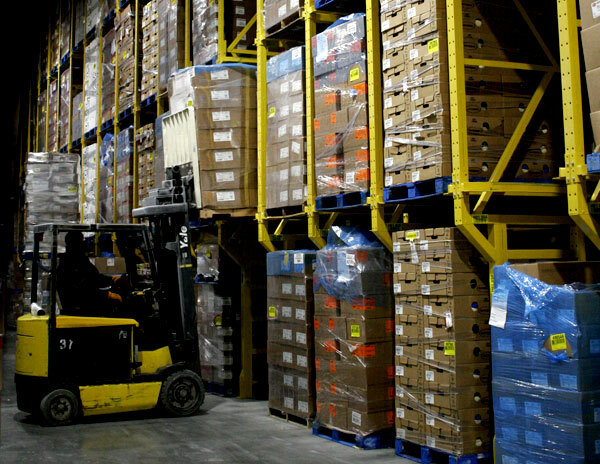 Therefore, cold storage warehouses must be built to conserve the most energy. This includes design features such as insulated panels, external cladding and recycled heating systems. Economy of scale is also crucial. If you know that a logistics provider is operating their warehouse with sustainability at the top of the agenda, then you can be sure that they will pass their eco-friendly credentials on to you, helping you to meet your sustainability targets. There has been a rise in cold storage providers expanding their portfolio to become fully integrated logistics providers, encompassing storage, distribution and value-added services. There are a number of benefits that arise from outsourcing your entire logistical operation to one provider including saving valuable time and resources which can be diverted into other core business functions. Furthermore, you will have greater access to highly knowledgeable warehouse professionals who have a huge amount of experience in the logistics industry. It’s also important to look at the track record of a cold storage facility to see if they are meeting their KPI targets and if they are already catering to the needs of major frozen food producers. Research and discussion with current customers can only enhance your knowledge of how a potential cold storage provider can improve your business and logistics.